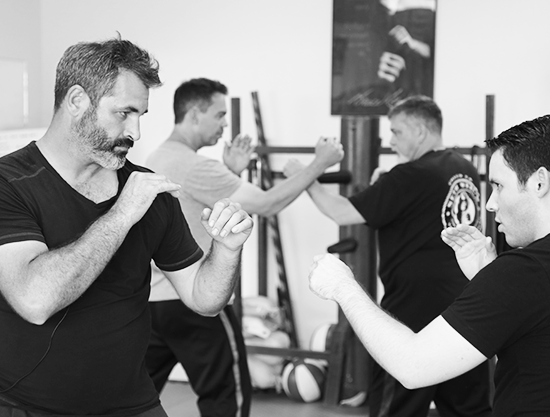 Progressive Fighting Systems (PFS) teaches the science and concepts of Jeet Kune Do (JKD) and the Filipino martial arts (FMA). PFS is dedicated to teaching realistic self-defense, so you can think of this class as MMA for the streets (also referred to as filthy MMA). This system is taught to military and law enforcement (Navy Seal teams, FBI, and DEA) just to name a few. This class will teach you how to combine your stand up (striking) and weapons (FMA) as well as teach you practical grappling for the streets. You will learn how to flow in and out of different ranges and techniques as well as how to deal with a variety of different attacks such as: one-on-one, mass attack (multiple appoints), knife to knife, stick to stick, and knife to empty hand. This is a great program for those looking for a no-nonsense practical system of self-defense.